Appalachian Trail Adventures (ATA) offers a distinctive adventure vacation with guided daily hiking, kayaking, and caving in the Green Mountains of Vermont that targets families and individuals who are adventurers, families, and those seeking an active vacation, including hikers who do not feel comfortable hitting the trails alone. 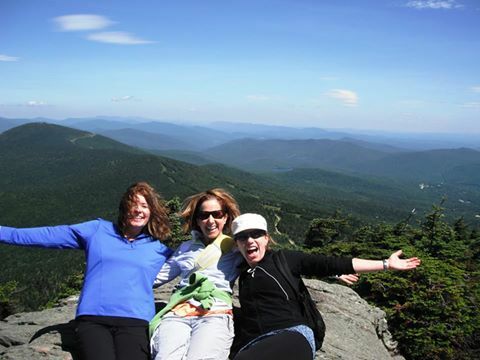 ATA provides an affordable all-inclusive hiking or fitness vacation, giving a real Vermont outdoor adventure. That’s why it has the best hiking vacations at the lowest possible prices, starting at $232.00 per night, per person, including taxes and gratuities. Unlike most spas, ATA’s owner John Keough is engaged daily with the guests, encouraging them on the trail and kayaking. ATA offers a variety of options to help customize one’s vacation. The most common is the Hiking Vacation that consists of an air-conditioned room with three daily spa meals, snacks, a guided novice, an intermediate or advanced hike and an afternoon of kayaking, and an excursion or caving. Massages, yoga classes and tennis lessons are available à la carte. Hikers stay at the Summit Lodge, which is known for its personalized service. Situated on eleven acres, the lodge offers all of the cozy, traditional pleasures of a Vermont country inn, along with air-conditioned rooms and a spa for those guests who are looking for massage therapy. Daily ATA offers guided half day or full day hikes along the Appalachian Trail. The half day hikes are followed by an afternoon with a variety of options, such as: kayaking either on a lake or flat water river, caving trip, an excursion to local attractions or a visit to the villages of Quechee, Manchester, Weston, or historical Woodstock. 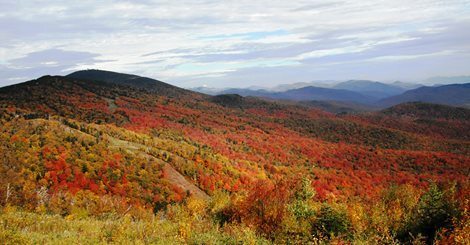 Some of the attractions include the Vermont Country Store, Vermont’s largest corn maze, world famous Cabot cheese tasting facility, Quechee Gorge, and much more. You are currently browsing the Appalachian Trail Adventures blog archives for March, 2015.